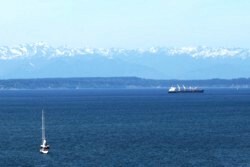 Surrounded by the spectacular natural beauty of Puget Sound and the Cascade and Olympic Mountain ranges, we are at the hub of a world-class high technology economy. Leading companies in the computer, biotechnology, medical device, alternative energy and other advanced technology industries locate here not only to benefit from the cutting edge research taking place at local universities and institutes, but also to enjoy the superb quality of life. From our Northwest location, PAI Patent & Trademark Law Firm is strategically placed to provide service to clients from all over the world. Our clients include locally grown inventors, artists and businesspeople as well as companies and individuals from Asia to Europe. We work to ensure that our comprehensive suite of legal services provides our clients with the maximum degree of protection for their intellectual property assets. In addition, we help them realize the maximum value of their IP assets through licensing and other technology transfer agreements. In addition to traditional patent, trademark and copyright protection, we also help our clients protect their other IP assets such as know-how and trade secrets. While attending to the Pacific Northwest communities, the firm has over time developed a significant international clientele due to the nature of its practice, its proximity to Canada, and its relative ease of access to the Pacific Rim nations. As a result – and out of necessity – the firm has associated itself with many IP law firms and patent/trademark agencies in other parts of the world in order to provide comprehensive legal services to its growing number of domestic and international clients. The strength of the firm's international practice also derives from the multilingual skills and multicultural background of its members, who are sensitive to the different needs and ways of thinking of international clients. Our correspondence languages include English, German, Chinese, and Russian.